We are back with our official 2nd review, earlier we reviewed Asus Zenfone 5 and this time we are going to review – as you would have probably guess by the title – OnePlus One smartphone. It’s a pretty awesome device to be honest. When they launched this smartphone with a complicated invite system I was really confused whether it’ll create any good buzz or great sales, but I was wrong, this indeed made a great difference and people are literally paying extra money to get the invite codes alone. Thanks to the sleek design, good features and yes, Stock Android. Below we have explained each and every important aspect of this smartphone. I explained them as an average smartphone user. 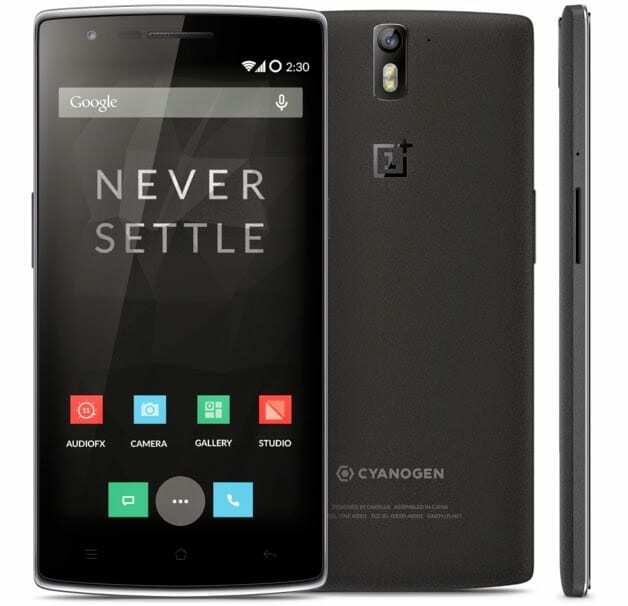 OnePlus One has two colours – Silk White / Sandstone Black. We got the Sandstone Black one for reviewing. It has a dimension of 152.9 x 75.9 x 8.9 mm and weights around 162 g. Even though it has a 5.5 inch screen it really looks compact and sleek. I felt as if I’m holding a bunch of business cards, the back side of the phone looks premium and soft. You can find the dual mono speakers located at the bottom accompanying the micro USB slot. This phone has the kind of bezels I really love, plus it has no manual physical home button. This device has a 5.5″ 1080 x 1920 LTPS LCD capacitive touchscreen. It has a pixel resolution of 1080 x 1920 pixels. It is protected by Corning Gorilla Glass 3. 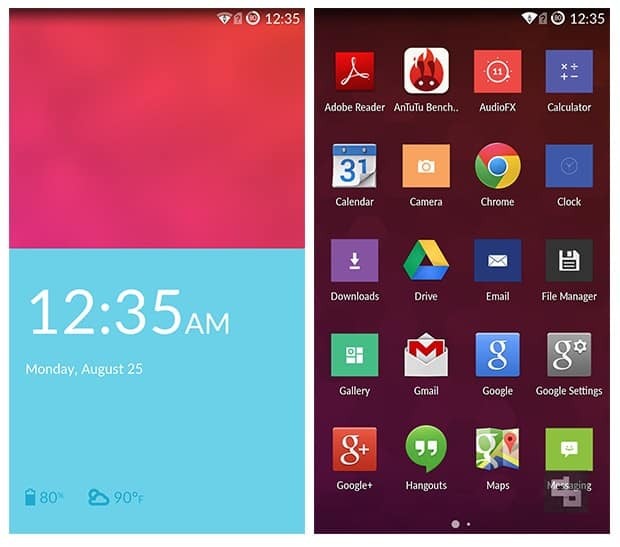 OnePlus One also decided to add CyanogenMod to their existing OS. (Wait, What is CyanogenMod?) You don’t need to be confused with Android, because CyanogenMod is a free and open source OS based on Google’s official releases of Android and the good thing is, it has a strong support and developers just like Linux. It runs on Android OS, v4.4.2 (KitKat) but upgradable to v4.4.4 (KitKat). I don’t want to forget to mention – Yes, it has Stock Android, just like Google Play Edition devices. This device has Qualcomm© Snapdragon™ 801 processor with 2.5GHz Quad-Core CPU powered by Qualcomm’s heterogeneous computing approach. 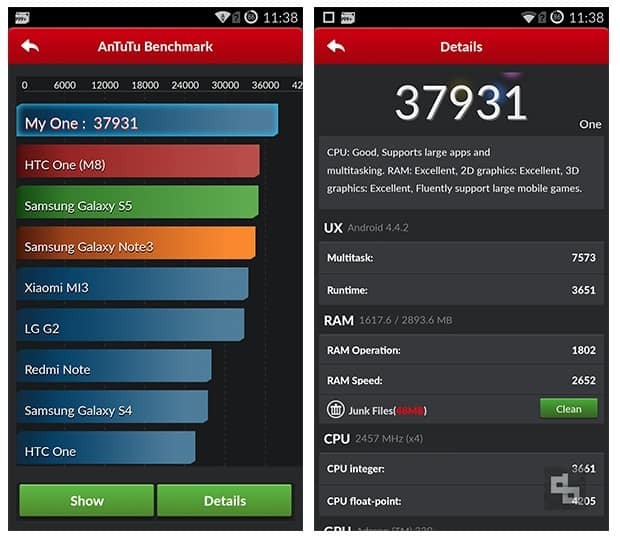 So basically to test OnePlus One’s performance, I installed two things – A Perfect Game and a Benchmark App. You can see the Benchmark results below, and yes, it is quite extraordinary. We played some games starting with Temple Run to Asphalt, and we must say it was really smooth. 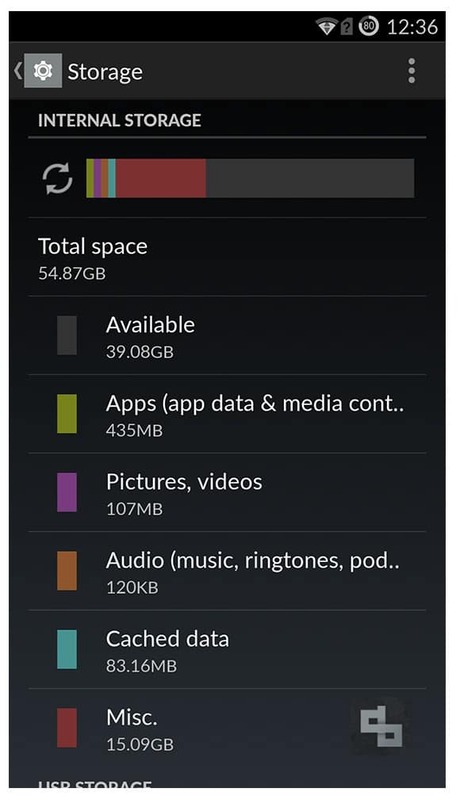 Just like Nexus and iPhone devices, OnePlus One also doesn’t support microSD cards. But they do have 16/64 GB (internal flash memory) variants, so it should be fulfilling your needs. Let me start with the front side – front camera (or) selfie camera has 5 MP (with 1080p@30fps). You can now post 1080p selfies on your timeline. The rear (back) camera has 13 MP (4128 x 3096 pixels) with autofocus and dual-LED flash. It has Geo-tagging, touch focus, face detection, panorama, HDR, etc. If you are big fan of taking videos with your phone then OnePlus One is a mass entertainer, it has 2160p recording @ 30fps, 2160p(DCI)@24fps, 1080p@60fps, and 720p@120fps. The last few words are sort of technical terms but I can assure you it has a great camera. Back Camera 13 MP (4128 x 3096 pixels) with autofocus and dual-LED flash. F2.0 (Aperture) and Camera sensor (1/3.06″). OnePlus One has a embedded (non-removable) rechargeable 3100 mAh LiPo battery. For a 5.5 inch display I’m pretty sure I would be spending quality time watching HD videos, playing games and reading eBooks. We tested this device for a day (lets remove 5 days for sleep), I was actually able to save some 20% battery power even after doing all those 3 tasks I mentioned above. 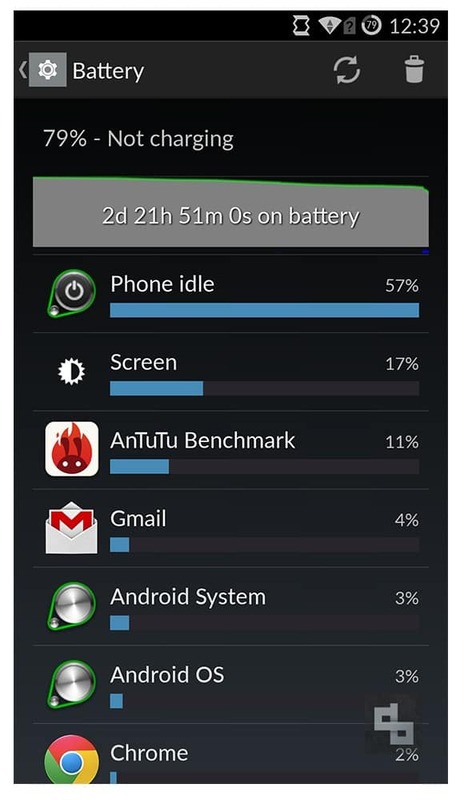 OnePlus One’s 3100 mAh battery seems to do justice for its huge display. Call & Network Quality: I never really faced any issues in the call or network quality. Though my friend Harsh Kansagara told me the network icon was not showing H+ or H, hope it was a temporary issue. 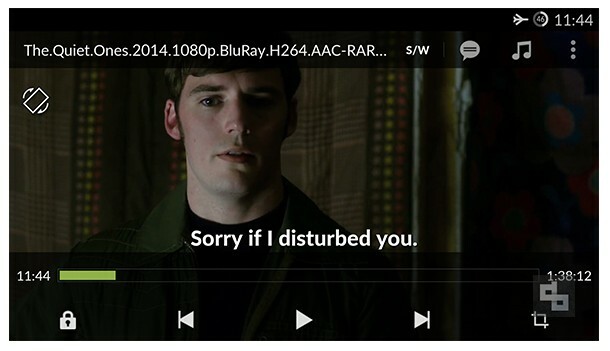 Video & Audio Playback: OnePlus One has dual mono speakers. A huge screen + dual mono speakers – What else do you need? We didn’t get any headphone or earphone along with this device, but seems like they’ll launch this separately, I saw a “Coming Soon” page for “OnePlus Silver Bullet Earphones”. Now, its time to tell the smooth and hard part of OnePlus One. I used this phone for more than a week and I used it regularly, so I was able to tell which part affected me and which didn’t. Stock Android – What else to say, you’ll be getting instant Google updates. Build Quality – I really loved it, it gives you a premium feel indeed. Selfie Addicts – It has a 5MP front facing camera, so if you are going to take a selfie, it’ll be as good as the rear camera of other smartphones. Decent Price – If you buy some other smartphones with the same configurations then it’ll be at least twice the price. Memory – It has a 64GB version, so that’ll be more than enough for an average smartphone user. Others – Better Processor & Good Battery Life. Customer Support – Unlike other smartphones we won’t really getting quality support (at least for Indian users). The 16 GB variant costs $299 and the 64GB variant costs $349. To be honest, these are very decent prices and people will obviously buy the 64GB variant, because they won’t mind spending extra $50 for 48GB space. Won’t you? UPDATE: The OnePlus One has been launched in India. It is priced at Rs. 21,999 for the 64GB version (Sandstone Black). 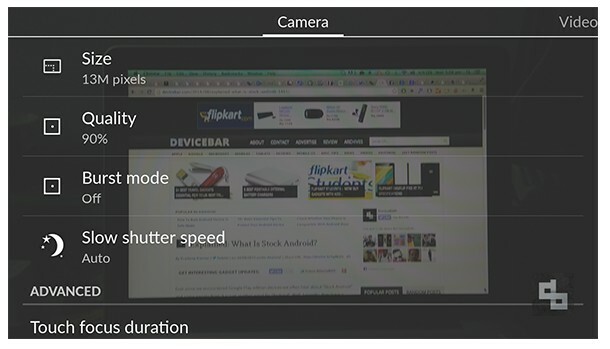 No wonder critics said OnePlus One is a “Flagship Killer”. Worth the price + More-than-enough configurations.